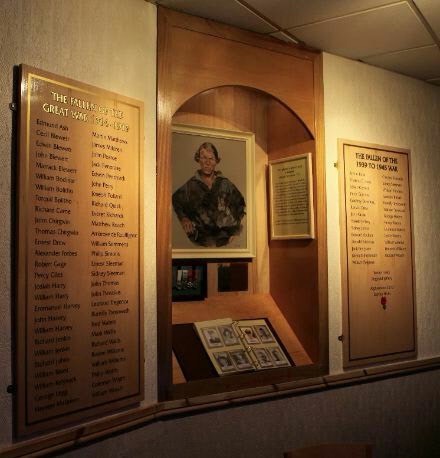 The original Memorial Board in our Legion Hall contained many names, some of which had no connection to Mousehole whilst others had been omitted. 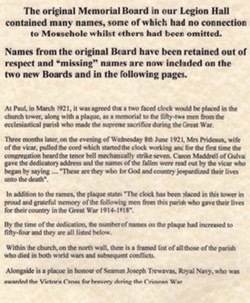 Names from the original Board have been retained out of respect and “missing” names are now included on the two new Boards. A roll call of the names on the two boards. Or view Memorial Book introduction in pdf format.